Books and Bickies is held each term offering students in Years 3-6 a chance to borrow the new books in the library and share what they have been reading. Here are some of the featured books you may like to read, you can request them from the Library! 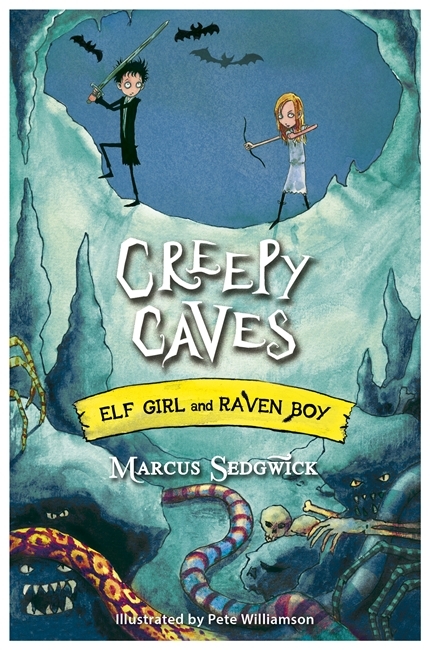 This is the final instalment in the Elf Girl and Raven Boy series by Marcus Sedgwick. The story started way back in Fright Forest when Raven Boy fell through the roof of Elf girl's hut. He was a big surprise!! stand-alone but even better if you read all six books in the series. 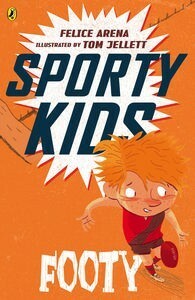 Felice Arena is back with a new series, Sporty Kids, suitable for newly independent readers. Kids who love Billie B Brown, Hey Jack and Boyz Own will enjoy these short chapter books about different sports. Great illustrations by Tom Jellett capture the action. Footy!???? Is that rugby league?, soccer?, AFL or rugby union? You'll have to read it to find out. We also have Swimming and other titles will be soon. Go to our yellow strip paperbacks to find this great new series. Jena lives in an isolated valley dominated by a large mountain. Seven girls especially chosen and trained by the "Mothers" go into the mountain and navigate its tunnels in search of the valuable mineral, mica, found deep underground. It is dangerous work and Jena is the leader of the group. 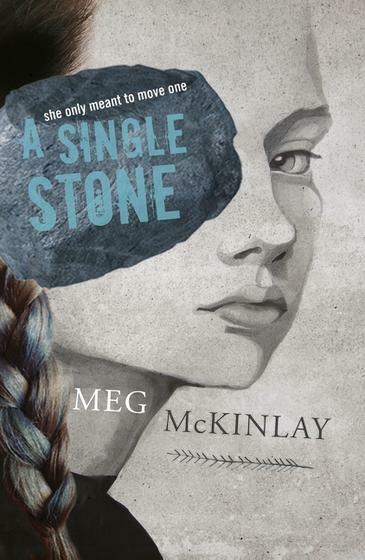 Jena's whole world is turned upside down when she discovers a secret effecting the whole village. 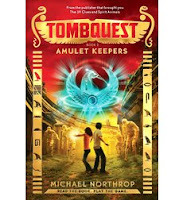 A compelling read suitable for upper primary children 10 years +. When Alex's mother uses the Ancient Egyptian Book of the Dead to bring him back from the brink of death, she inadvertently summons other evil spirits from the underworld. In this book, Alex and his best friend Ren head to London, where people are going missing, victims of the terrifying Death Walkers; rare treasures are disappearing and rain of blood is pouring from the skies. Can Alex and Ren find Alex’s missing mother while they stop a powerful Death Walker from destroying the city? Sticks and Ranga live on the same street, go to the same school and love the same things - skateboarding and PlayStation. When new kid James arrives he soon becomes friends with the boys. He is smart and funny and really wants to go skateboarding with his new friends. There may be a problem – James has Cerebral Palsy and is in a wheelchair. 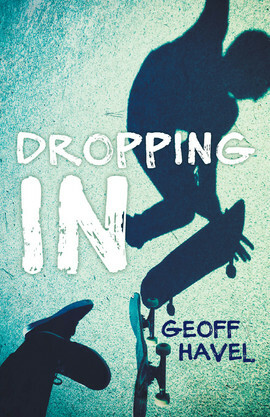 But Ranga may have a solution…three mates, a beat-up old couch, a couple of skateboards and a steep hill ... what could possibly go wrong? 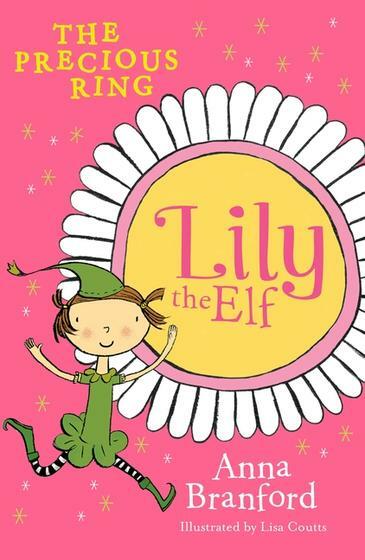 From the author of the Violet Mackerel books comes a new series about Lily the Elf. Lily the Elf finds a beautiful ring. Lily loves the ring and uses it as a wonderful wading pool. But the ring belongs to a small human. Will Lily have to return it? Suitable for readers 7+ and on the shelves in our yellow strip collection. If you enjoyed this Lily story we also have The Midnight Owl with two more stories, The Elf Flute and The Wishing Seed coming soon. 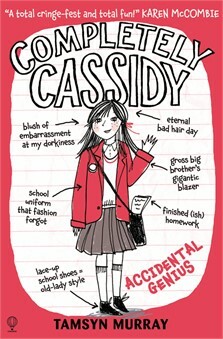 Completely Cassidy, accidental genius by Tamsyn Murray. Poor Cassidy is starting high school and is trying to create the right impression - you know, not too dorky! Despite her best efforts things don't always work out the way she wants. Her home situation doesn't help: pregnant mother, embarrassing father, older brother who doesn't want to know her (at home or at school!!!). Then on top of everything else she does a test that identifies her as gifted and talented. Can this possibly be true? Lots of humour in this story for upper primary aged kids.